Things are getting serious. After years of researching the Blitz and the Great Fire of London, I have deadlines now for the three volumes of The Firewatcher Chronicles. 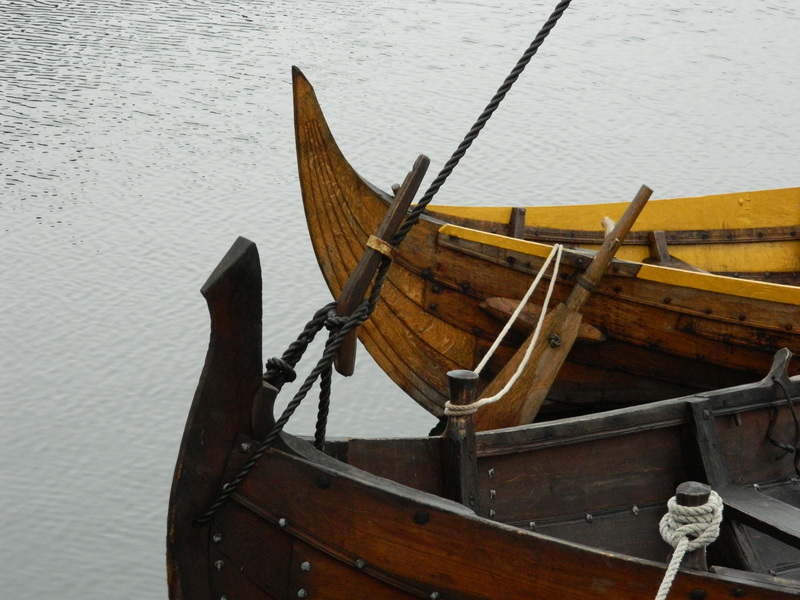 I was in Denmark and London over the last couple of weeks (initially for a conference), happily researching Vikings and Anglo-Saxons (Book 2 in the trilogy) and then more Great Fire (Book 1) and Romans and Iceni (Book 3). After two weeks of sore feet, aching legs, bursting brain and wide eyes, I hope I now have filled enough knowledge gaps to keep the writing going. But, as you know, I enjoy the research and it keeps my mind firing and filled with new ideas, as well as those telling details that we need to make the fiction come alive. I also managed to sort out a few remaining practical details for Grace, my work on the meeting between Grace O’Malley and Elizabeth 1. I spent several days in the British Library, and an inspiring day in the Women’s Library at the London School of Economics, which holds suffragette Vida Goldstein’s papers – for one of my other projects, Sisterhood. So many projects! 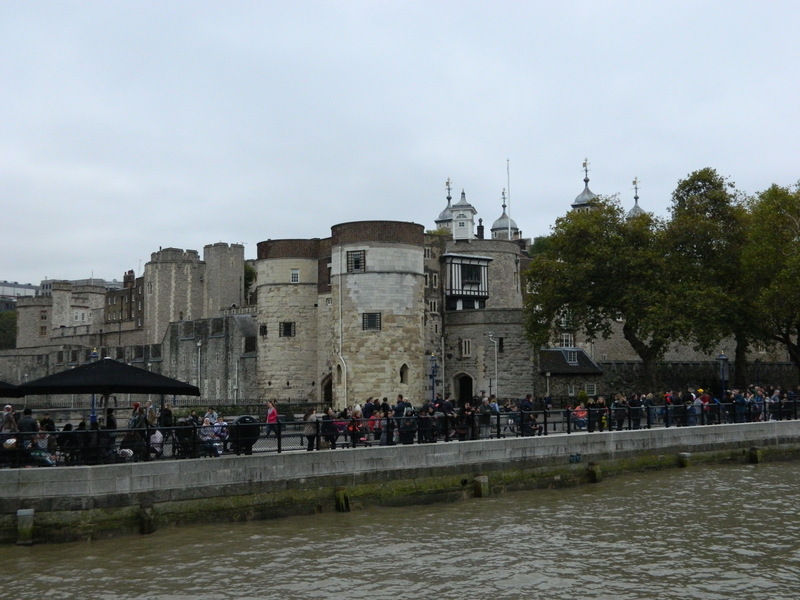 But research time in places such as London is rare and precious, and we have to make the most of it. 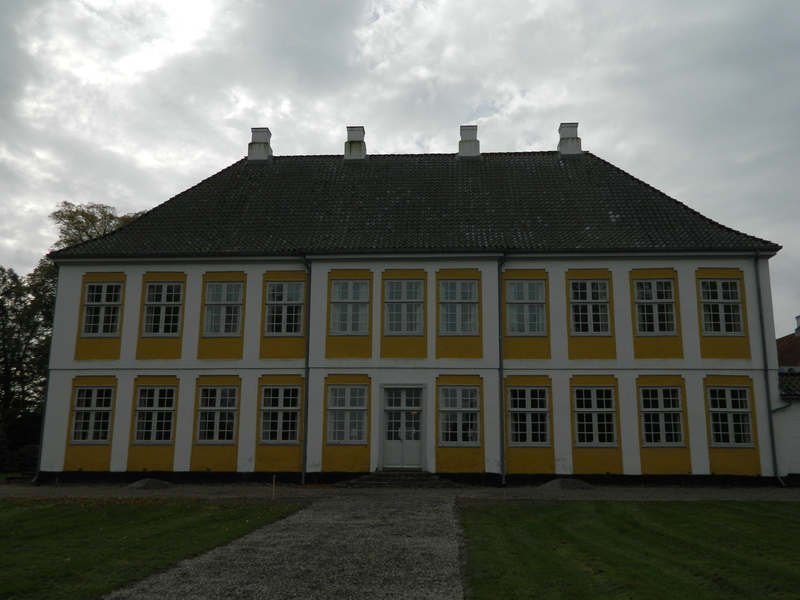 The international symposium on Gender and Love was held this year at the most astonishing place – Sandbjerg Gods, an eighteenth century manor house once owned by Karen Blixen’s sister, Ellen Dahl, and donated by her to Aarhus University. It’s a glorious spot, nestled between fjord (complete with porpoises) and lake. Not only did I get to spend a few days listening to brainy people talk about fascinating things, I was also asked to read from Goddess on the first night, after dinner, in a parlour where the Dinesen sisters once read and talked. Then last week, back in Melbourne, we held our ReMaking the Past symposium, something I’ve been working on for ages with my lovely colleagues at La Trobe. 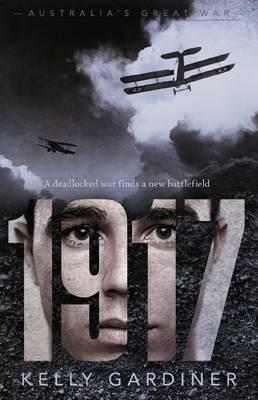 Also last week, I heard that 1917: Australia’s Great War is shortlisted for the Asher Award, for a book with an anti-war theme, written by a woman. The award is in honour of Helen Asher, author of Tilly’s Fortunes . It’s such a thrill, and I’m in esteemed company on the shortlist. My thanks to the judges and to the Australian Society of Authors – and of course to Scholastic for all its support. I’ve spent some time polishing the manuscript for the first volume in The Firewatcher Chronicles, and sent it off to Scholastic, who are already thinking about cover designs. No rest for the wicked. 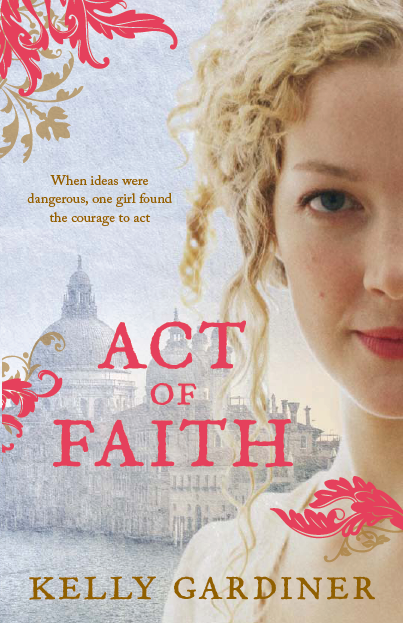 I’ve finished the first draft of Grace, but it needs a fair bit more work, so I reckon it will be done by the end of the year. 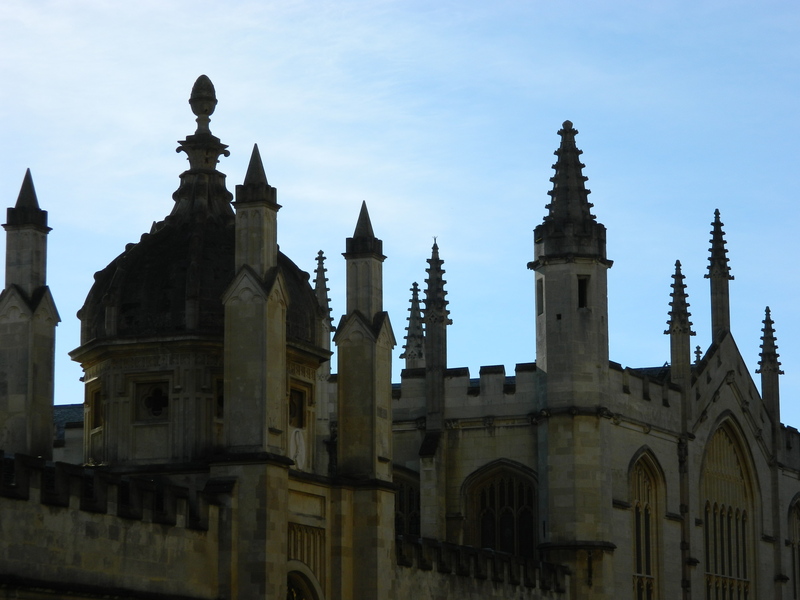 Finished a couple of short stories – one for an anthology of own voices Oz YA. And next I’m onto more in my series of bushranging amateur detective outlaws. And the second volume of Firewatcher Chronicles. And honestly, an academic conference paper can take months, sometimes, and other times just a week or so. I wish I knew which was which, before I started – in fact, before I volunteer to do them in the first place! I must admit, I’ve been reading mostly research-related books lately, either for conference papers and academic articles (everything from *snore* The Well of Loneliness and My Love Must Wait to Five Go Off to Camp), books for The Firewatcher Chronicles from endless volumes on Boudica to Vera Brittain’s memoir of the Blitz, England’s Hour, or background for other projects on bushrangers and suffragettes and pirates. Meg and Tom Keneally’s The Soldier’s Curse. But I picked up the first book in Elizabeth Jane Howard’s Cazalet Chronicles , just to find a scene to quote in a paper, and accidentally got sucked straight back in. I’d forgotten. Or rather, the first time I read them, I was so drawn in by characters, place and plot that re-reading them now is like a different experience altogether. Such beautiful writing. Now I can’t stop. But what a gorgeous problem to have. 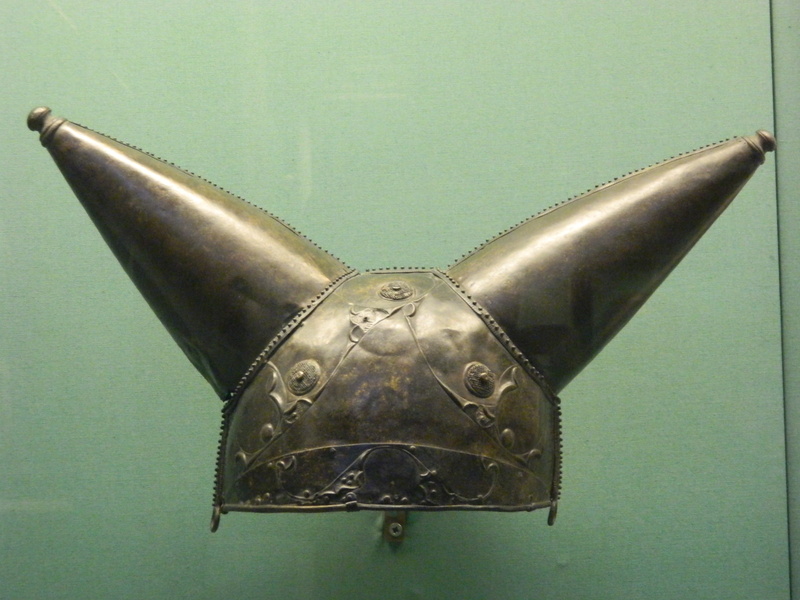 So between all of that, and finally getting to write a Viking book (surely destiny! ), I feel both extremely busy and very lucky. Exciting news this week. My book 1917: Australia’s Great War was shortlisted for the Young People’s History Prize in the NSW Premier’s History Awards. The Awards were held on Friday night in two stunning rooms in the State Library of NSW – one had hundreds of early editions of Don Quixote in glass-fronted bookcases. It was lovely to hear the Premier say that she’s a voracious reader, to hear the Minister for the Arts talk about his own writing, to welcome the new State Librarian of NSW, and to be part of the launch of History Week. My thanks to the State Library (where I also spent all day yesterday deep in research), Create NSW, the History Council and the judges for this recognition of 1917 and for inviting me to be part of the evening’s celebrations. I’ve been on literary awards shortlists but it’s a very different kind of feeling to have my book acknowledged as a work of history-making. The History Awards are judged by an extraordinary panel of senior historians, and I’m honoured to be shortlisted – and to be in the company of the authors and creators on the Young People’s History Prize list and all the shortlists. Congratulations to every single one. And of course now I want to read all the books. 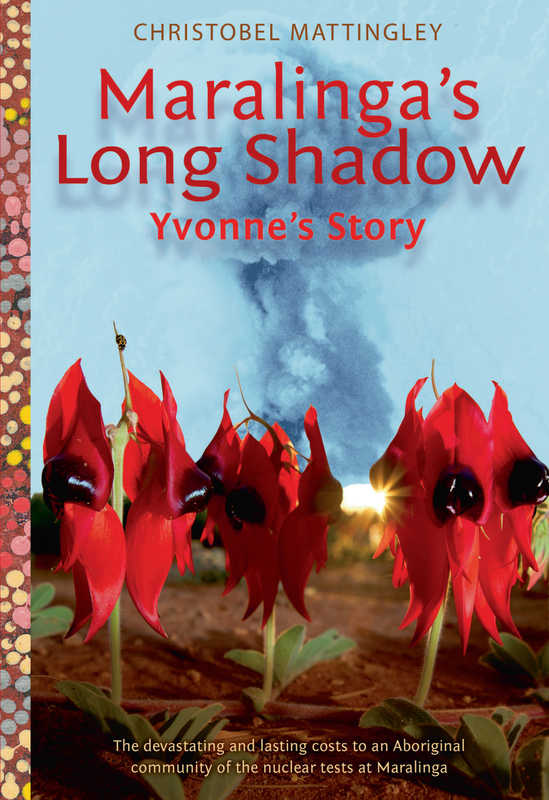 And the prize was won by Christobel Mattingley for Maralinga’s Long Shadow: Yvonne’s Story. In accepting the award, Christobel talked about the artist Yvonne Edwards, her family, and the Anangu people, so many of whom were exposed to radiation by the nuclear bomb tests on Maralinga Tjarutja lands, and so many of whom have died of cancer since the bombs – including, sadly, Yvonne. Profits from the book go to her family. 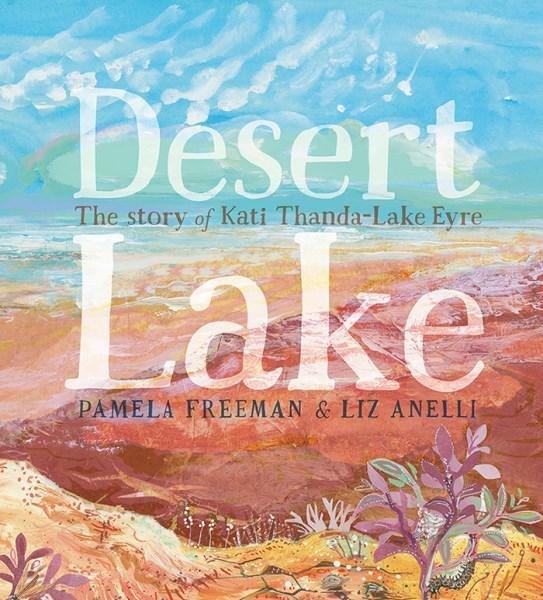 Congratulations to Christobel, who also worked with Yvonne and the communities to tell their stories in Maralinga, the Anangu Story, so that their children and other children can know the truth of their experiences. It’s wonderful that there is a Young People’s History Prize alongside awards for Australian, general (as in, everywhere else) and community or local history, as well as multimedia. That says a lot about the important work we do encouraging young people’s engagement with history. 1917 is partly about the divisive conscription campaign on the Home Front, and I remember choosing not to use the word ‘plebiscite’ when I wrote it, because young readers might not know what that old-fashioned word meant. I had no idea then that the country would undergo another plebiscite debate in 2017, and that young people would take to the streets to protest about it. But perhaps we always write and read about the past to reflect on the present. Some of the fictional characters in the book are based on members of my family, especially my great-aunts who were children – and peace activists – during the war. I wish they were still with us so they could see how they – like young readers today – really do make history. Eight year-old Madge (my great-aunt) led the United Women’s No Conscription Procession in 1916. 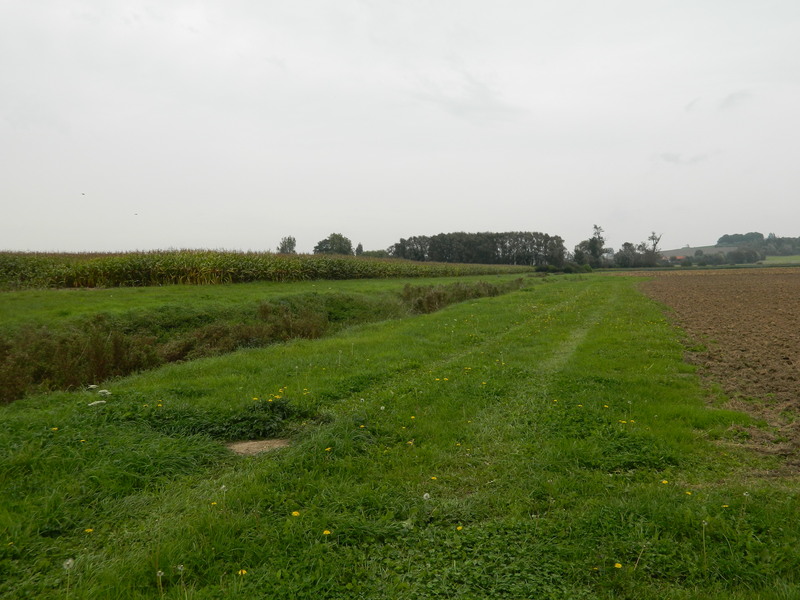 31 July is the anniversary of the start of one of the bloodiest and muddiest battles of the First World War: Passchendaele. 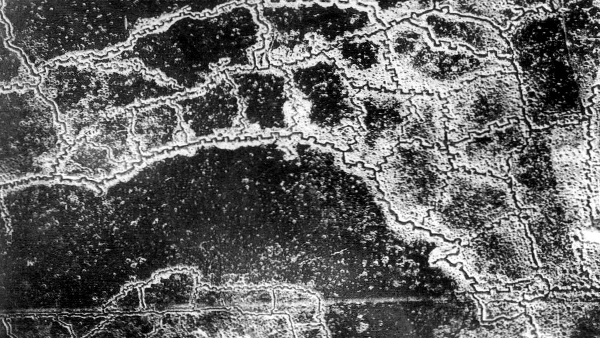 What we now call the battle of Passchendaele (or Third Battle of Ypres) stretched from late July into December, all through one of the soggiest seasons the troops could remember. 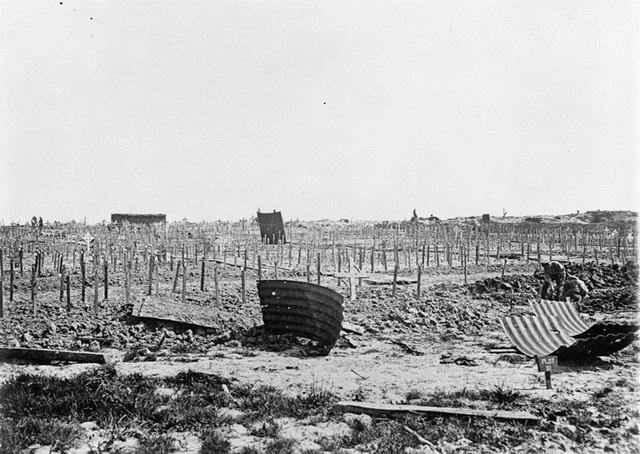 Crucial days for the Australian and New Zealand troops occurred later, in a series of assaults through deep mud against seemingly impregnable fortifications. They include names that you will often see on war memorials in small Australian and New Zealand towns: Polygon Wood, Menin Road, Broodseinde, and Poelcappelle. 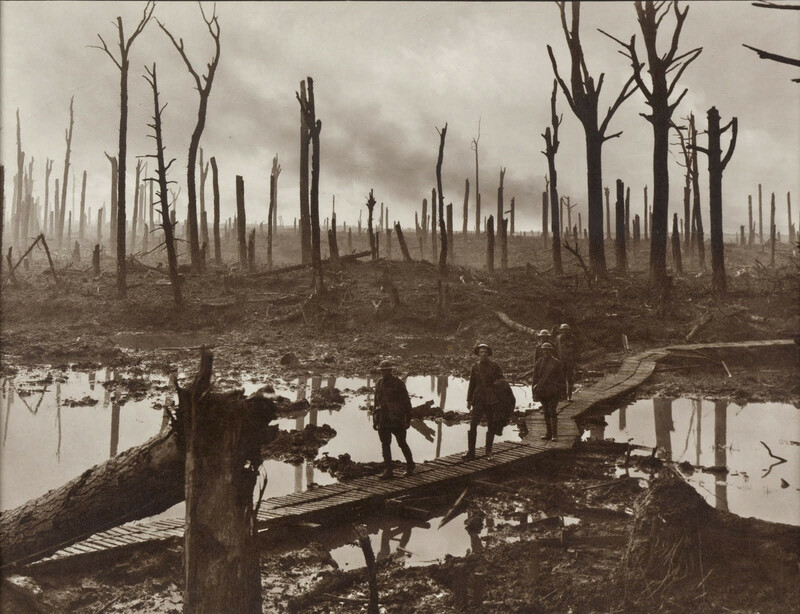 But it was the name Passchendaele that became a by-word for slaughter. On 12 October alone, there were 13,000 Allied casualties, including 2,735 New Zealanders. It is remembered as one of the worst days in New Zealand military history. If you’ve read 1917, you’ll know that my fictional characters are asked to fly low over the German lines to identify artillery that might fire upon the Anzac troops. 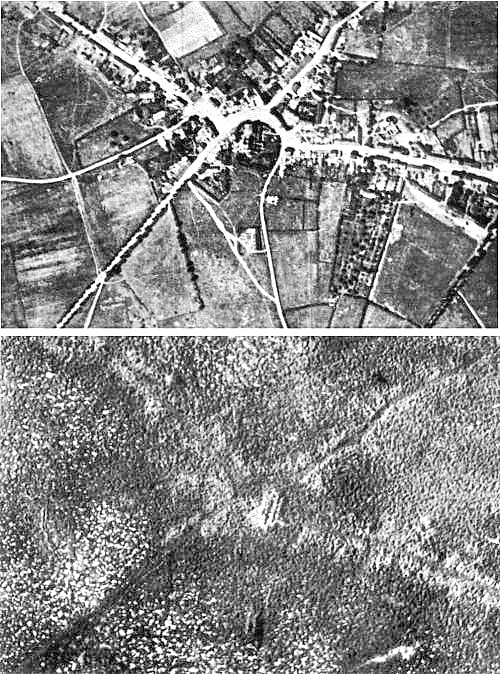 Here’s what Ace and Charlie would have seen: the poor little village of Passchendaele from the air, before and after the shelling. Each one of those hundreds of dots is a shell hole. 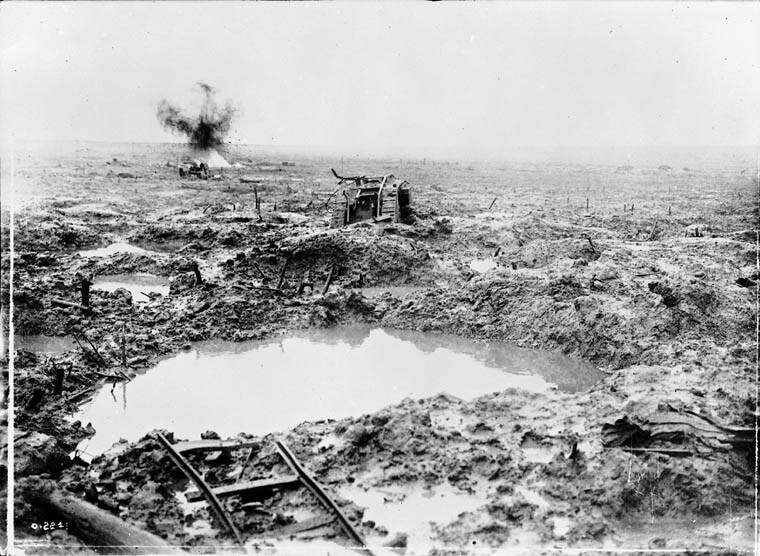 The shelling and the rain turned the entire battleground into a swamp – worse than a swamp, because it was littered with bodies and barbed wire, destroyed equipment, and shrapnel. Some of the most famous photos of the war are from this time. Readers have asked me about the real people who appear in 1917. Here are just a few of them – some faces from the Home Front. Vida Goldstein (1869-1949). Vida’s life as an activist began in 1890 when she helped her mother collect signatures for the Woman Suffrage Petition, and over the next decade she became deeply involved in a range of political and benevolent groups, especially focused on the fight for women’s right to vote. After some women were granted the vote in federal elections in 1902, she was one of four women who were the first in the British Empire to stand for election to a national parliament – as a candidate for the Senate in 1903. To agitate for the vote in the states, she formed the Women’s Political Association (WPA) and ran a newspaper, the Woman’s Sphere. In 1908 Victoria granted (some) women the vote, and after that victory, Vida made four more attempts to gain election to Federal Parliament: in 1910 and 1917 for the Senate and in 1913 and 1914 for the House of Representatives, always as an independent, and ran The Woman Voter newspaper. 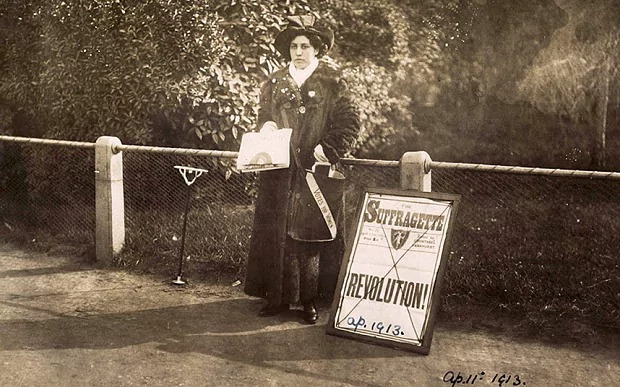 When the Great War began, she focused her energy on campaigning for peace and later against conscription, and working on a range of issues that affected women and children. 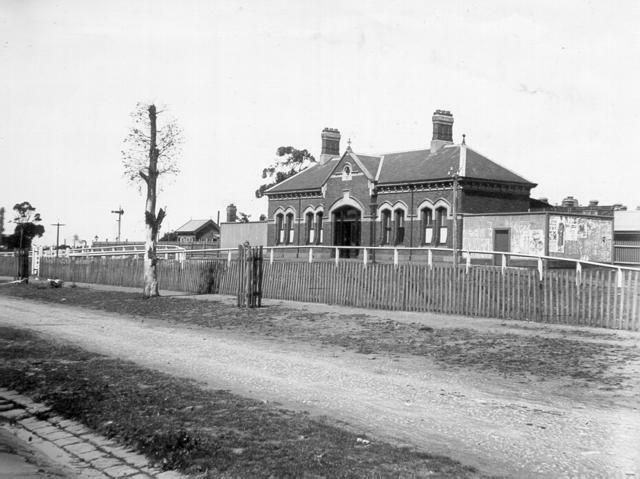 She formed the Women’s Peace Army in 1915, a women’s unemployment bureau in 1915-16 and the Women’s Rural Industries, which ran the Mordialloc Women’s Farm. In 1919, with Cecilia John, she attended the Women’s Peace Conference in Zurich. After the war, Vida continued to argue for disarmament and peace, as well as birth control and other measures towards equality. The federal electorate of Goldstein is named in her honour. Source: Australian Dictionary of Biography and That Dangerous and Persuasive Woman, Jeanette Bomford, Melbourne University Press, 1993. Cecilia John (1877-1955) was a feminist, agriculturalist, music and dance teacher and opera singer. 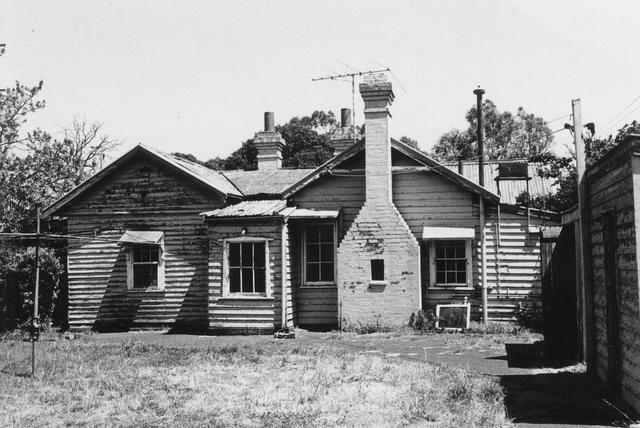 As a young woman, she built and ran a poultry farm at Deepdene, to pay for her musical training, and later helped run the Women’s Farm with her friend Ina Higgins. She was an acclaimed performer on the Melbourne stage, but once war broke out she devoted her energy to the Women’s Peace Army, and later on to the Children’s Peace Army. One of Vida Goldstein’s closest friends, she managed The Woman Voter and they travelled together around the country and overseas to promote peace and women’s activism. She sang the anti-war song, ‘I Didn’t Raise My Son to be a Soldier’ so often at public demonstrations and meetings that the song was banned, and she was also once charged under censorship laws for ordering banned anti-conscription leaflets. After the war and her visit to Geneva in 1919 with Vida, she became involved with the Save the Children Fund and the fight against poverty. Miss John and Miss Goldstein collecting for the poor. Photo: That Dangerous and Persuasive Woman, Jeanette Bomford, Melbourne University Press, 1993. Adela Pankhurst (1885-1961) was the youngest of the famous Pankhurst family of suffragettes, all of whom campaigned for the vote in Britain before the war. Once war broke out, the family split – Mrs Pankhurst and her daughter Christabel wholeheartedly supported the war, while sisters Sylvia and Adela did not. Adela was packed off, alone, to Melbourne with only £20 to her name, and quickly joined Vida Goldstein and the WPA in their campaign against the war. She was a brilliant public speaker and became a committed socialist. In 1917 she spent some time in prison for speaking at banned rallies and refusing to stay silent about food shortages. 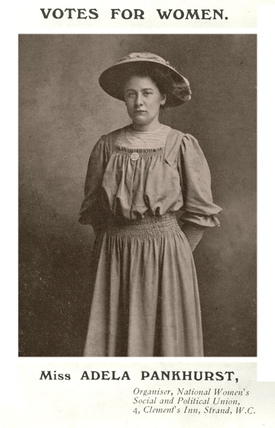 I wasn’t able to include all the complexity of Adela’s year in the novel, but by the end of 1917 she had married unionist Tom Walsh, spent several months in prison, and split with the WPA to join the socialists – although she continued to speak at WPA rallies against conscription. In later years, Adela and Tom were founding members of the Australian Communist Party but later moved to the right, with Adela even being briefly interned in 1942 for her friendship towards Japan. My gorgeous great aunts Connie and Madge, who indirectly inspired the character of Maggie. 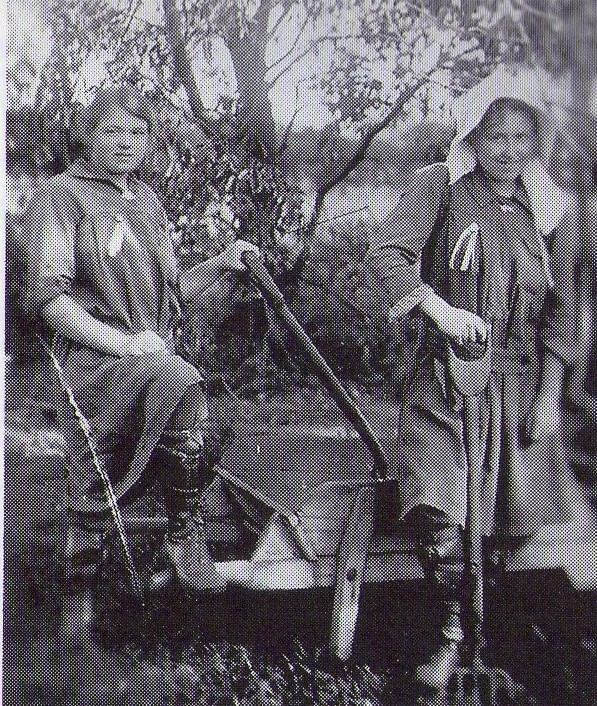 Rica Kirby and Connie Gardiner (right) at work at the Women’s Farm in Mordialloc. Photo: That Dangerous and Persuasive Woman, Jeanette Bomford, Melbourne University Press, 1993. 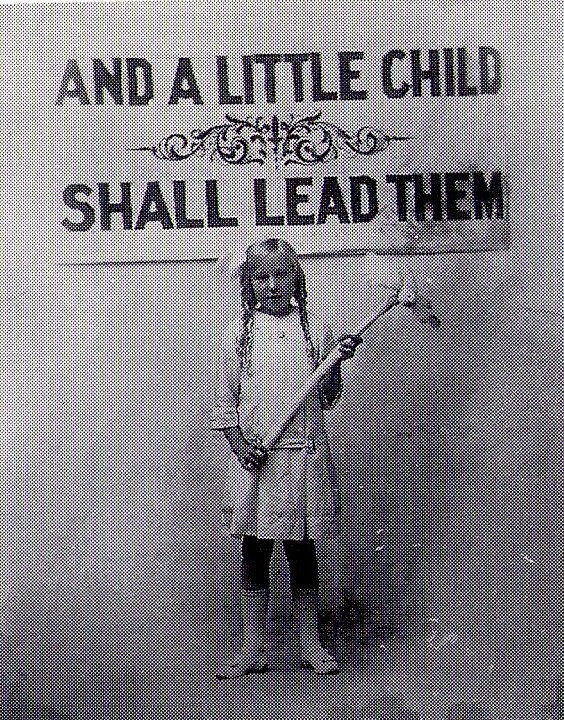 Eight year-old Madge led the United Women’s No Conscription Procession in 1916. Bless her. I’ll write more about my family’s connection to these stories one day soon. Next episode: some of the real pilots and soldiers featured in 1917. Stay tuned. I’ve often said that all my books are acts of subversion disguised as historical fiction: pirate tales for kids that are really about slavery and rebellion, or adventures for young adults about freedom of the press, refugees, and religious intolerance. Always political. Always diverse. Always driven but never preachy. Or so I hope. Stories about women and girls. But now, now, the writing and the purpose feels so much more urgent, the need more extreme. It so happens that in the middle of months of protests and outrage, my little book about a similar time in local history has come out into the world – a book about a previous generation that found itself taking to the streets in huge numbers, compelled to take action by a world, by an idea, that could not be denied. Or many ideas. Here in Australia, a hundred years ago, it was the principle that nobody should be compelled to go to war against their will. That nations should seek options other than military action. The 1916 and 1917 plebiscites on conscription were incredibly divisive and the scars of that debate lasted for generations. In 1917 there was also the Great Strike, food shortage protests, arrests and demonstrations and censorship of the press. Maybe 2017 doesn’t feel so tumultuous. But I can’t remember too many times like this. Every day more outrages from leaders in various countries. Every day more outrage. There are divisions among us, of course and as always. There is anger about unrecognised privilege, dissent about how best to make our arguments, or even which arguments to make – which battles to fight. But still, there are millions of feet marching, in cities and sites around the world, in defence of fragile freedoms of all kinds. Some of us have always had to fight. Some have returned to the fray. Some people find themselves out marching in the streets or arguing online or writing in despair for the first time. This moment – these dying days, I hope, these death rattles of a panicked privileged few – seems to be one of those moments in time where great change could happen. And that’s exactly what they’re afraid of. *February in the Julian calendar. ** For better or worse or both. A few people have asked me about the aircraft Alex and Charlie fly in 1917. Here’s an RE8, nick-named the Harry Tate after a music hall star. 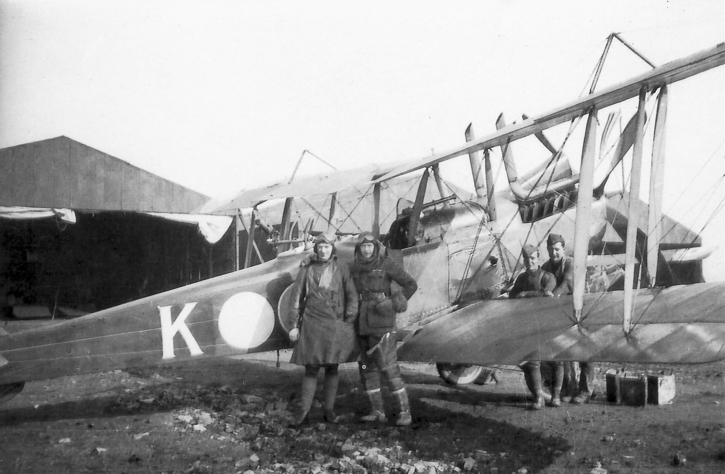 This one is a plane from 3 Squadron, Australian Flying Corps – the real unit to which my fictional characters belong. The RE stands for Reconnaissance Experimental, and this was the eighth model in the line. 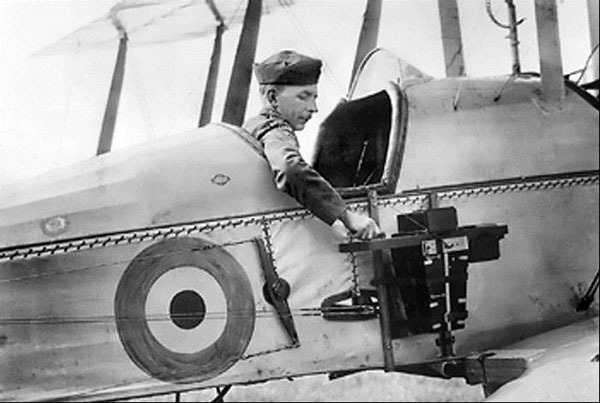 It was pretty revolutionary, as the first British two-seater aircraft with the observer (or gunner – in 1917 that’s Charlie) in the rear cockpit, with a clear view of the sky. The observer defended the plane while the pilot (Alex) in front flew, navigated, took the aerial photographs, and if necessary used the Vickers machine-gun. The Vickers was synchronised to avoid hitting the propeller blades. (That might sound obvious, but the technology didn’t exist at the start of the war.) 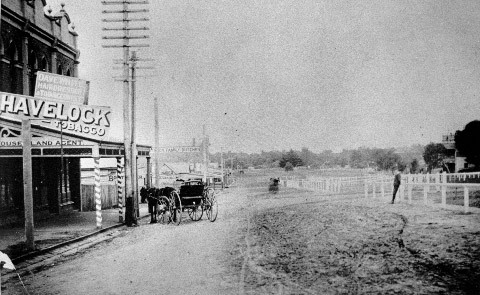 The RE8 had a 150–horsepower engine and a maximum speed of 102 miles per hour. It could stay in the air for over four hours – significantly longer than many other planes of the time. You might think that taking a few snapshots would be easy. Here’s the kind of camera they used. Aerial camera operated by the pilot. 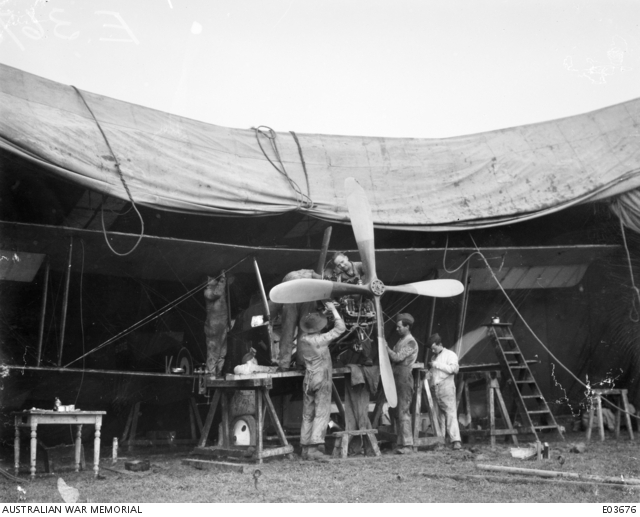 Each squadron had a ground crew of skilled mechanics, armourers (like Len in 1917), riggers and other craftsmen to keep the planes flying. 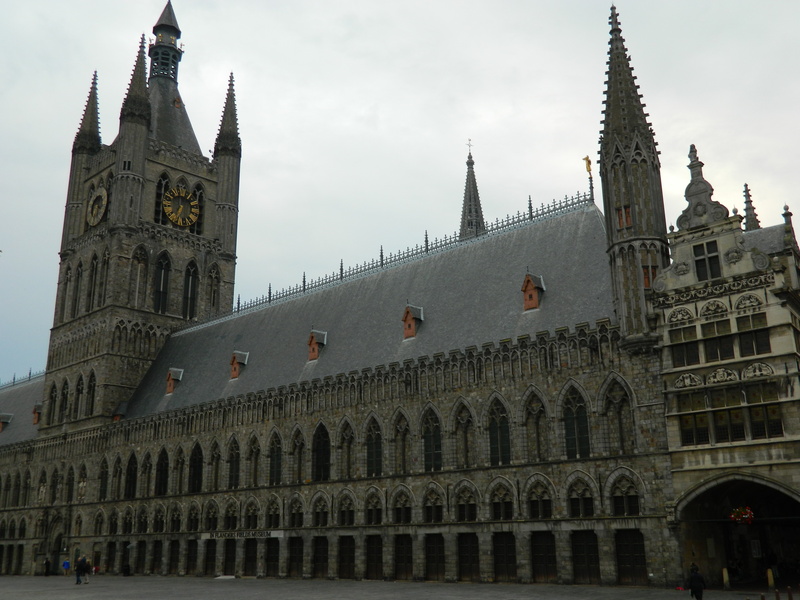 They worked around the clock under pretty harsh conditions – while the airfields were set back from the trenches, they were still shelled and bombed and freezing in winter. And of course, no plane was safe flying about over the Lines. Both sides had hunting packs of swift “scouts” or fighter planes, whose job it was to knock the other side’s aircraft out of the sky. Books written by pilots after the war (such as Winged Victory by V.M. 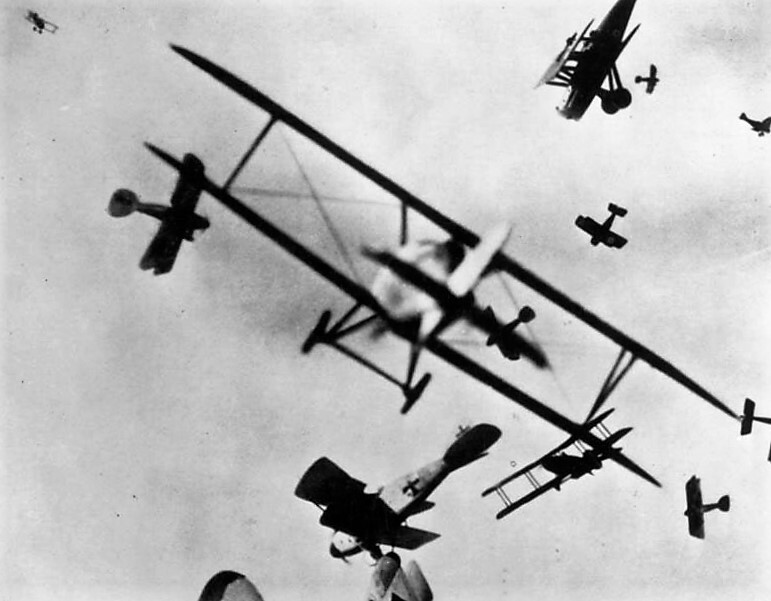 Yeates or Sagittarius Rising by Cecil Lewis) try to capture the madness that was the aerial dogfight. A pilot, in the second between his own engagements, might see a Hun diving vertically, an SE5 on his tail, on the tail of the SE5 another Hun, and above him again another British scout. These four, plunging headlong at two hundred miles an hour, guns crackling, tracers streaming, suddenly break up. The lowest Hun plunges flaming to his death, if death has not taken him already. His victor seems to stagger, suddenly pulls out in a great leap, as a trout leaps at the end of a line, and then, turning over on his belly, swoops and spins in a dizzy falling spiral with the earth to end it. The third German zooms veering, and the last of that meteoric quartet follows bursting … But such a glimpse, last perhaps ten seconds, is broken by the sharp rattle of another attack. Casualty rates, in training and in combat, were high. 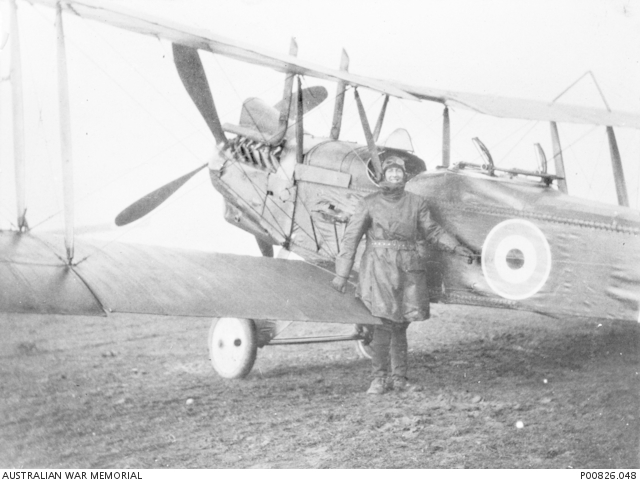 This is Lieutenant Leslie Sell, from Albert Park, Melbourne, beside an RE8. A 25 year old photographer prior to enlisting on 23 October 1916 as Private Sell, but quickly became an Air Mechanic 2nd Class. He left Melbourne with 4 Squadron on 17 January 1917 aboard RMS Omrah. After arriving in England, he undertook pilot training and on 20 December 1917 he was commissioned as a Flying Officer (Second Lieutenant). In early 1918 he joined 3 Squadron AFC in France. Lt Leslie Sell. Killed March 1918. It seems I’ve been making people cry. Well, not so much me as my book. And yes, that is the plan. I’ve posted before about the decisions I made in writing 1917, especially about portraying violence and loss. But while writing it, I was also thinking about the tears I shed over books when I was the same age as my readers – over Helen in Jane Eyre, over everyone in The Isle of the Blue Dolphin … and don’t get me started on Little Women. I might be scarred for life about the sad demise of Beth March, but it’s the sort of scarring that is easier to bear in fiction than in real life. It’s loss that feels real, but isn’t. 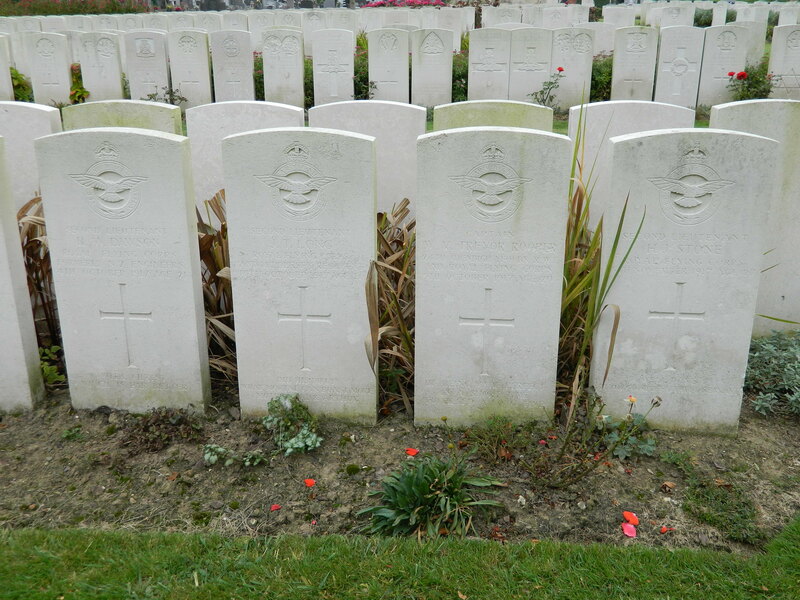 When you write about the First World War, you can’t shy away from sorrow. The world was grieving – and I do mean the world, as there were civilian and military casualties from so many countries. 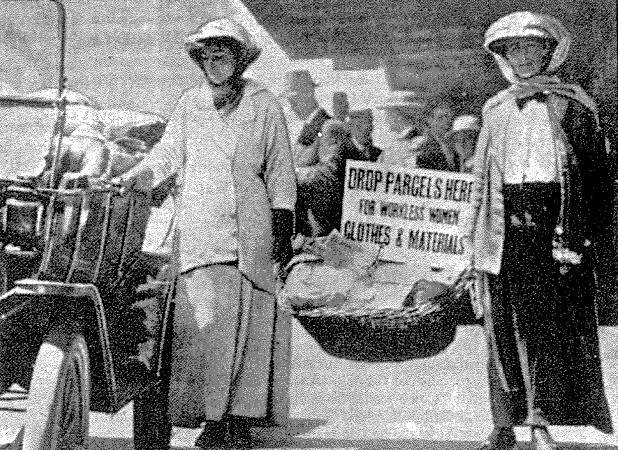 By 1917, communities on the Home Front reeled from the news every day of more loss, more destruction. They mourned family members and friends, and in some cases entire villages or workplaces, especially after the slaughter of 1916 on the Somme. And for those in the fighting, the terror and grief never ended. 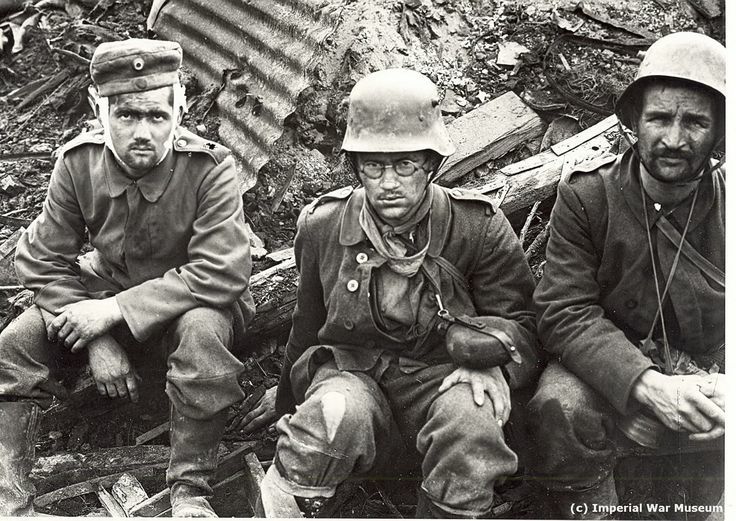 Shell-shock was finally beginning to be understood and treated, but the diaries, letters, poems and memoirs tell us that almost everyone was profoundly affected by the loss of friends, the constant bombardment, a sense of foreboding, and the physical effects of sleep deprivation, inadequate food and water, lice and rats, mud and snow, disease, living out in the elements every day and night – a nightmare that never seemed to end. It’s war. I couldn’t write about it honestly, couldn’t do justice to the voices in those diaries, letters and memoirs, without trying to reflect that reality. Without breaking a few hearts. When was the last time you cried after reading a book? Which book and why did it make you cry? I’ve been reading a few World War One diaries lately. They are all heart-breaking but sometimes they just stop. Yesterday I saw one in the State Library and got to an entry that reads, “I seem to have come through all right so far”. Then that’s it. There’s no more. So it makes me cry too. 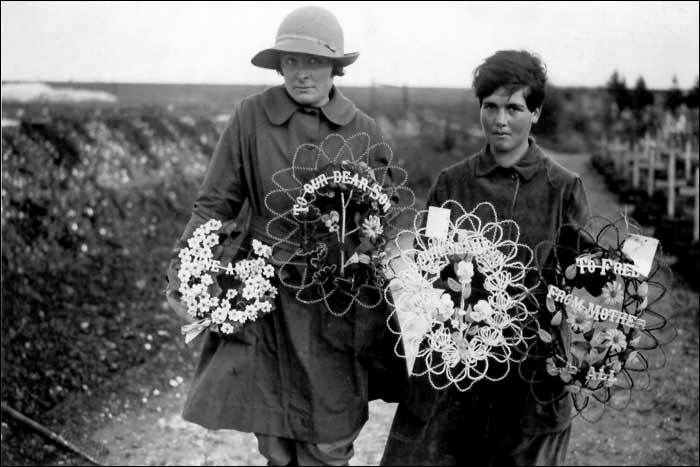 British women laying wreaths near Abbeville after the war. March is a busy month. I get to chat with my old mate Kate Mildenhall about writing 1917, and especially about the research and writing about war and politics for young readers. That’s a special event for teachers and librarians at Readings Books in Hawthorn on 7 March 2017. Details and bookings here. It’s Women’s History Month, and there’s stacks going on, including a whole program of events based around Eltham. 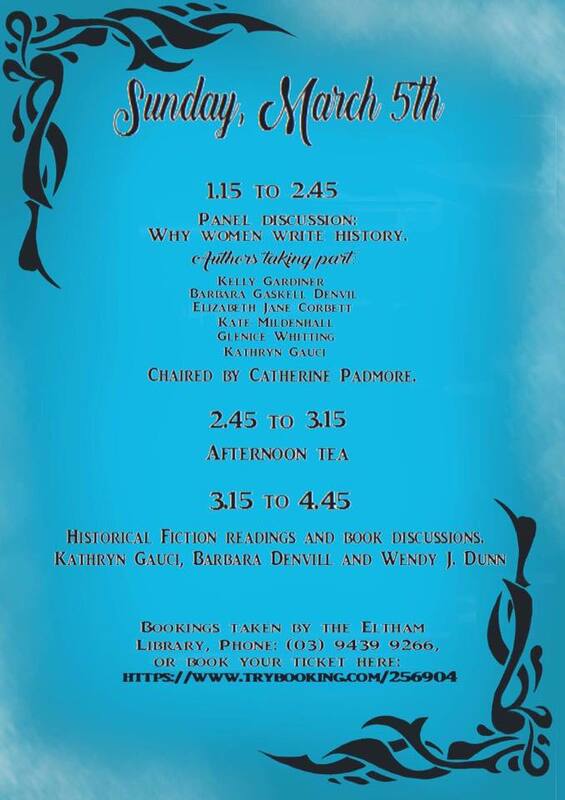 First up is a full day of discussion about writing history and historical fiction, starting with a panel (Oh look! 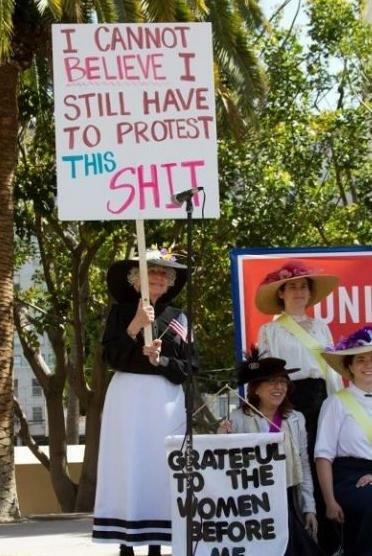 Kate again) on why women write history on 5 March. Details of all the events for Women’s History Month at the gorgeous Eltham Library are here. I’m hosting a discussion on researching and writing biography on 21 March at State Library Victoria (I’m lucky enough to work there). 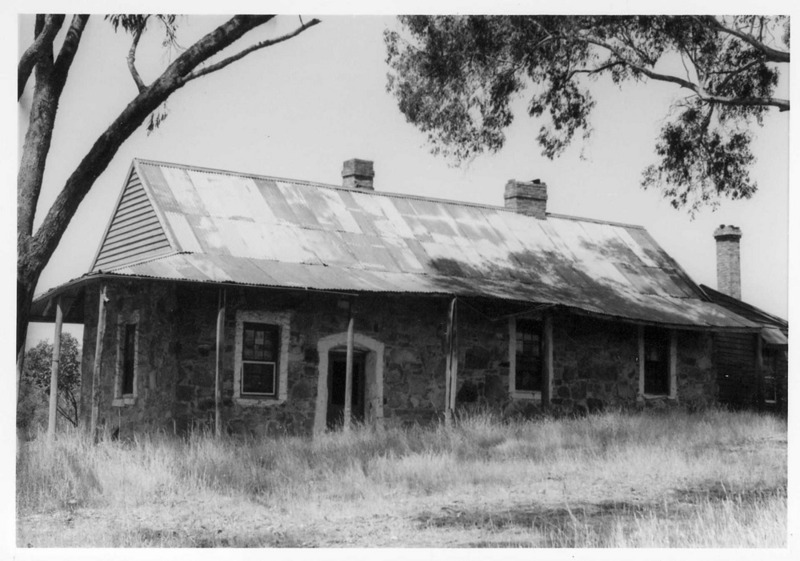 I’ll be talking with Minna Muhlen-Schulte and Sandra McComb about their work in history and biography, and particularly their new articles in the La Trobe Journal. And then the very next day, Unladylike podcast records live for the first time, as part of the Castlemaine State Festival. Unladylike co-host Adele and I will be interviewing Lynne Kelly and Robyn Annear about writing nonfiction – how they manage to convey incredible detail and knowledge for their readers. That’s on 22 March in beautiful Castlemaine. Phew! Well, we wouldn’t want to sit still for too long, would we? 1917: Australia’s Great War hits the shops today. I hand it over to you, dear reader.